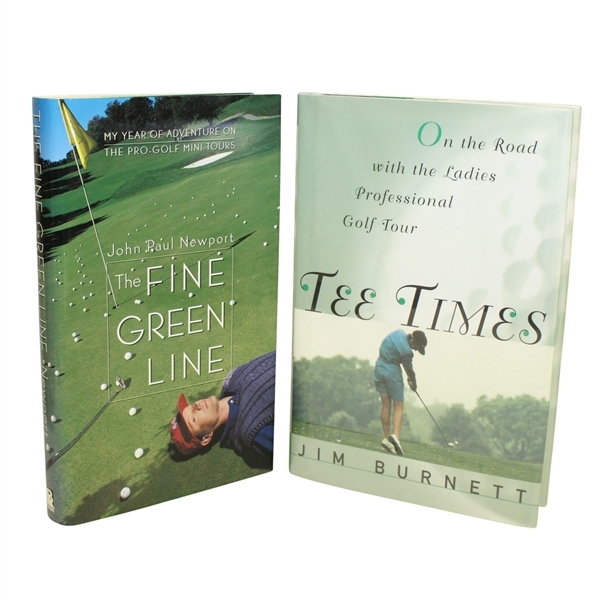 Two golf related books are offered here: "The Fine Green Line" by John Paul Newport and "Tee Times" by Jim Burnett. 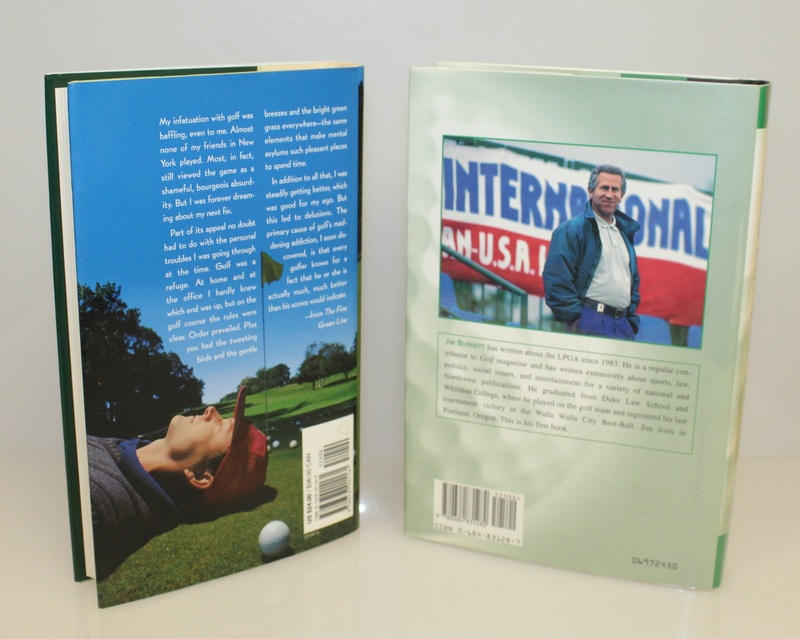 Both books come in good condition. "The Fine Green Line" follows the mini tours of the PGA, and "Tee Times" follows the LPGA Tour.